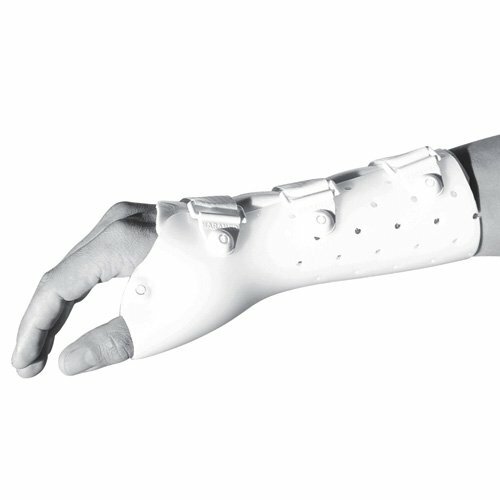 Provides proper support and immobilization of the wrist and thumb. Allows unobstructed motion of the fingers. Indications include: Post-cast fracture immobilization, Wrist Fractures and sprains, Cumulative Trauma Disorder, Carpal Tunnel Syndrome, Post tendon transfer support, Postoperative support after removal of internal or external fixation devices, Gamekeepers Thumb, DeQuervains Syndrome.